This paper presents Dream Lens, an interactive visual analysis tool for exploring and visualizing large-scale generative design datasets. 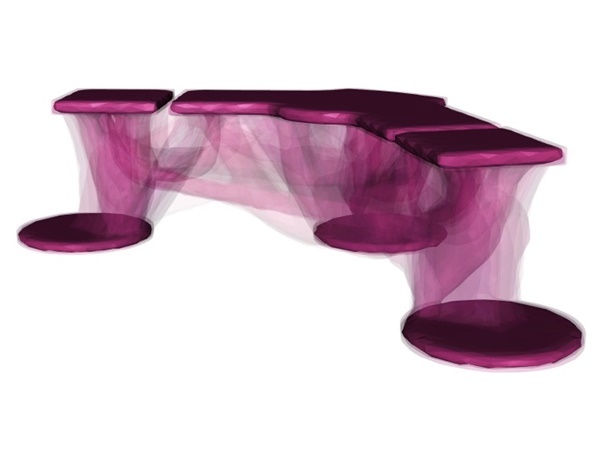 Unlike traditional computer aided design, where users create a single model, with generative design, users specify high-level goals and constraints, and the system automatically generates hundreds or thousands of candidates all meeting the design criteria. Once a large collection of design variations is created, the designer is left with the task of finding the design, or set of designs, which best meets their requirements. This is a complicated task which could require analyzing the structural characteristics and visual aesthetics of the designs. Two studies are conducted which demonstrate the usability and usefulness of the Dream Lens system, and a generatively designed dataset of 16,800 designs for a sample design problem is described and publicly released to encourage advancement in this area.